A Mid-Size bioscience company located in Vernon Hills is seeking a Sr. Recruiter for a 6+month engagement. The Recruiter will be responsible for the candidate and hiring manager experience in the Americas. Develops advanced sourcing and recruiting strategies to proactively engage active and passive candidates for a variety of jobs within the organization. Consults with hiring managers to determine business needs, recommend hiring solutions and performs full-cycle recruiting. Researches and analyzes market complexities, and proactively develops university and community based organizational relationships to meet staffing needs. following: identifying hiring needs, interview candidates, recommending qualified candidates, extending job offers, arranging for relocation's and assessing the success of the previous hiring. · Proactive diagnoses recruiting and sourcing issues that impact the company's ability to attract and retain qualified, diverse candidates. Develops, recommends and implements solutions for enhancements. · Partners with the Human Resources Generalist to develop compensation recommendations based on internal and market equity. ensure a consistent global employee experience. · Responsible for managing the Affirmative Action Plan. · Trains and educations the business partners on the value and importance of being a leader in equal opportunities and affirmative action. · Provides vision and leadership for our various national high school and college internship programs. Will create a formal University Relations Program by partnering with local leaders to define the business need and establish key school relationships. This will be a feeder pipeline for key positions. · Provides oversight and leadership for the various High School internship programs. when peers are out of the office. development and implementation of proactive recruiting strategies. Prior experience in a research capacity for candidate generation. Experience with executive and sales recruitment is preferred. · Knowledge and skills in successfully creating and implementing proactive recruitment plans. Ability to effectively work with management to determine hiring needs, and recruit candidate based on these needs with resourcefulness, creativity, and efficiency. 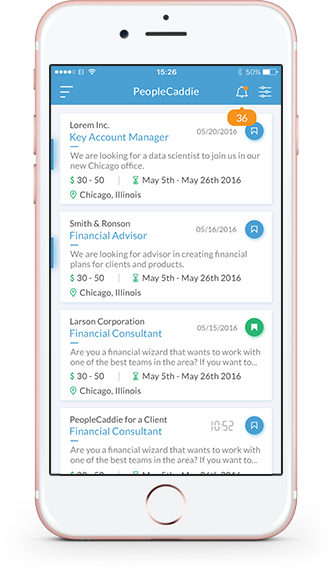 Experience managing and prioritizing multiple searches, projects and client relationships. · Able to influence hiring managers, candidates and team members in a consultative way. Demonstrated ability to assess talent beyond matching keywords on a resume. · Knowledge and understanding of general recruiting, compensation, benefits and general human resources policies and procedures.